Penalties for violating Louisiana revised statute 14:98 by driving or operating a vehicle while intoxicated. 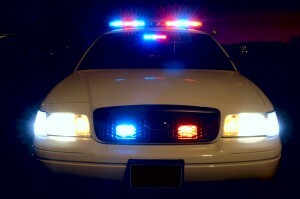 Home » Driving While Intoxicated – Know What You’re Facing! Driving While Intoxicated – Know What You’re Facing! Caught Driving While Intoxicated – What to expect. Louisiana knows how to let the good times roll, but the law can be very harsh if you get caught driving while intoxicated. If you have been arrested for DWI/DUI you will be facing not only stiff penalties including fines and possible jail time, you will also be facing a loss of driving privileges. We can help make sense of the maze of the administrative licenses proceedings and criminal court proceedings. We can also help you take steps to avoid or minimize suspension of driving privileges and avoid or minimize the negative impact of conviction. We can help you you can get you life and career back on track. If you have been arrested for operating a motor vehicle while intoxicated in Louisiana, here are the penalties and consequences you could be facing. Fine: Minimum $750.00 — Maximum $1,000.00 At least forty-eight hours of the sentence imposed shall be served without benefit of parole, probation, or suspension of sentence. Fine: $2,000.00 At least 1 year of the sentence of imprisonment shall be imposed without benefit of probation, parole, or suspension of sentence, unless the offender is accepted into an approved Drug Court probation program. Second Offense—At least forty-eight hours of the sentence imposed shall be served without benefit of parole, probation, or suspension of sentence. The offender performs 30 days (8-hours) of court-approved community service, at least half of which is a litter abatement or collection program, and participates in a court-approved substance abuse program and driver improvement program. Third Offense—At least 1 year of the sentence of imprisonment shall be imposed without benefit of probation, parole, or suspension of sentence, unless the offender is accepted into an approved Drug Court probation program. In addition, if the 1 year minimum sentence is suspend and offender into an approved drug division probation program, the offender shall also be placed in a home incarceration program for a period of time not less than 6 months and not more than the remainder of the sentence of imprisonment. Fourth or Subsequent Offense—If the offender has not previously participated in a Drug Court probation program, at least 2 years of the sentence of imprisonment shall be imposed without benefit of probation, parole, or suspension of sentence, unless the offender is accepted into an approved Drug Court probation program. Participate in substance abuse treatment in an alcohol and drug abuse program provided by an established Drug Court. In addition if the 2 year minimum sentence is suspend and offender into an approved drug division probation program, the offender shall also be placed in a home incarceration program for a period of time not less than 1 year and not more than the remainder of the sentence of imprisonment. If the offender’s blood alcohol concentration was of 0.20 grams percent or more, at least 96 hours of the sentence shall be served without the benefit of parole, probation, or suspension of sentence and shall be fined $1,000.00 If the arrest for the second offense occurs within 1 year of the commission of the first offense, the offender shall be imprisoned for thirty days without benefit of parole, probation, or suspension of sentence and shall participate in a court-approved substance abuse program and driver improvement program. When the first offense was for vehicular homicide or first degree vehicular negligent injuring, the offender shall be imprisoned with or without hard labor for not less than 1 year nor more than 5 years, and shall be fined $2,000.00. At least 6 months of the sentence of imprisonment imposed shall be without benefit of probation, parole, or suspension of sentence. Home visitation at least 1 time per month by the Department of Public Safety and Corrections for the first 6 months. The court shall also require the offender to obtain employment and to participate in a court-approved driver improvement program at his expense. The activities of the offender outside of his home shall be limited to traveling to and from work, church services, Alcoholics Anonymous meetings, or a court-approved driver improvement program. A fourth or subsequent offender who has previously been required to participate in substance abuse treatment and home incarceration, the offender shall not be sentenced to substance abuse treatment and home incarceration, but shall be imprisoned at hard labor for not less than 10 nor more than 30 years, and at least 3 years of the sentence shall be imposed without benefit of suspension of sentence, probation, or parole. If the offender has previously received the benefit of suspension of sentence, probation, or parole as a fourth offender, after serving the mandatory minimum 10 year sentence, no part of the remainder of the sentence may be imposed with benefit of suspension of sentence, probation, or parole, and no portion of the sentence shall be imposed concurrently with the remaining balance of any sentence to be served for a prior conviction for any offense. If the offender has previously participated in a Drug Court program, the offender shall be imprisoned at hard labor for not less than 10 nor more than 30 years, and at least 3 years of the sentence shall be imposed without benefit of suspension of sentence, probation, or parole. First Offense—The mandatory minimum sentence of 10 days shall not be suspended. Second Offense—The mandatory minimum sentence of 30 days shall not be suspended. Third Offense—If imprisonment is imposed, the execution of the minimum mandatory sentence shall not be suspended. Fourth or Subsequent Offense—If imprisonment is imposed at least two years of the sentence shall be imposed without benefit of suspension of sentence. First Offense—Suspension of drivers license for 12 months If the offender had a blood alcohol concentration of 0.20 grams percent his driver’s license shall be suspended for 2 years. A restricted license may be obtained if his or her vehicle is equipped with a functioning ignition interlock device which must remain installed and operative during the first twelve-month period of suspension following the date of conviction. Second Offense—Suspension of drivers license for 24 months Any vehicle operated by the offender shall be equipped with a functioning ignition interlock device for a period of not less than six months. The device must remain installed during any period that the offender’s operator’s license is suspended and for any additional period the court may require. If the offender had a blood alcohol concentration of 0.20 grams percent his driver’s license shall be suspended for 4 years. The offender may apply for a restricted license to be in effect. A restricted license may be obtained if his or her vehicle is equipped with a functioning ignition interlock device which must remain installed and operative during the first 3 years of the 4 year period of the suspension of his driver’s license. Third Offense—Any motor vehicle operated by the offender shall be equipped with a functioning ignition interlock device. The ignition interlock device shall remain installed and operative until the offender has completed the requirements of substance abuse treatment and home incarceration, or, if applicable, the requirements of the Drug Court probation program. Fourth or Subsequent Offense—Any motor vehicle operated by the offender shall be equipped with a functioning ignition interlock device. The ignition interlock device shall remain installed and operative until the offender has completed the requirements of substance abuse treatment and home incarceration, or, if applicable, the requirements of the Drug Court probation program. After one year of suspension of driving privileges, upon proof that vehicles being operated by the offender are equipped with functioning interlock devices, the offender may be issued a restricted driver’s license in order to earn a livelihood and to travel to and from church services, Alcoholics Anonymous meetings, or a court-approved driver improvement program. 2 years without benefit of eligibility for a hardship license, if a fatality occurred or a person sustained serious bodily injury as a result of an accident and intoxication is determined to be the contributing factor of the fatality or serious bodily injury.